Runtastic is a jogging app founded by Florian Gschwandtner in 2009. In 2015, Adidas came knocking and bought it up. Here, he offers up insights on the current state of the mobile market. Florian Gschwandtner is one of the most prominent founders and entrepreneurs in Austria. In 2009, he launched what would become one of the world’s most heavily used sports apps--Runtastic. In 2015, he landed a massive EUR 220m exit when Adidas came calling. Gschwandtner, who will be speaking at this year’s OMR Festival in Hamburg taking place on May 7 & 8, recently sat down with Philipp Westermeyer, Founder of OMR (Online Marketing Rockstars), to discuss why he decided to sell Runtastic to the German sports apparel brand and how it came to be that a farmer’s son became Austria’s most famous founder. "The road to success does not need to be perfectly smooth to get to where you want to go. Every time there was a major bump in the road, whenever someone told me “no,” it just served to further fuel my motivation." And initially there were plenty of bumps in the road, as Gschwandtner and his three co-founders were constantly met by skeptical investors. “No one wanted to invest a dime in the jogging app Runtastic in 2009. The only thing investors were certain of is that it would never work," says Gschwandtner. Fast-forward four years, however, and Runtastic sold a majority stake to Axel Springer and then, in 2015, the app was sold in its entirety to Adidas for EUR 220m. Gschwandtner stayed on board until the end of 2018. Even without the sought-after venture capital, Runtastic got off to a flying start in 2009. "Within the first couple of days, we notched downloads in the thousands," says Gschwandtner. At the time, he was so hands on that he physically would install the app on friends’ phones. In 2009—right before the launch of the Apple App Store—climbing up the charts was a simple organic growth plan of downloads and 5-star reviews. In addition to word-of-mouth, access to Facebook’s API was the second factor essential to Runtastic’s rapid growth. Users could log in directly with their Facebook account and quickly and easily share fitness graphs, routes and distances. "We wanted to embed the route and activity sharing in the app intelligently, and that helped propel the app further," says Gschwandtner. Today, the app has over 80 million users and well over 100,000 downloads per day. However, the app’s organic growth has tapered off considerably in recent years. "At our peak, we had 160,000 downloads per day. Today, you have to invest heavily to achieve visibility and, consequently, downloads," says Gschwandtner. He says that, at the moment, Runtastic has the most success via paid campaigns on Facebook and Instagram. Google just never worked for them and influencer marketing was too cost prohibitive. Gschwandtner says that Adidas didn’t acquire Runtastic for its revenue or download figures (the app, he says, generates an annual revenue in the 8-figure range), as much as it was Adidas’ desire to bring a new culture into the company. "Our acquisition represented the beginning of a new digital age at Adidas," he says. "The company had to show shareholders its vision moving forward and where it was headed." Operationally, Adidas was essential in more effectively addressing Runtastic clients and better understanding its users. Furthermore, every runner receives a shoe recommendation after 500 kilometers (the brand of which, should be clear to us all). 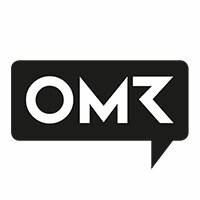 Florian Gschwandtner will appear at OMR Festival 2019 in Hamburg, Germany. The two-day event takes place on May 7-8 and provides a platform for 400 international speakers to share their stories to an audience of 50K. Other key speakers include Headspace Founder Andy Puddicombe; Gimlet Media Founder Matt Lieber; Pepsi, Apple Beats, and Uber brand guru Bozoma Saint John; international best-selling author Yuval Noah Harari, and many others.